Home » You’re Not The Man Who Served Aboard USS Orleck! See also: Honest Officer, I was FRAMed! Believe it or not, destroyers have memories! This is the truth! Each and every incident that ever occurred within visual range of a destroyer is recorded much like a CD can record information. The CD, as you know, can hold a tremendous amount of material in the form of data, pictures and sounds. When you consider that the CD is just a tiny piece of circular plastic and that it can record such volumes of material, it is not difficult to extend the thought that a destroyer with all of its available surface area could record an endless amount of the same. Destroyers such as USS ORLECK were very sophisticated and were designed to record those very things deep in their hulls and decks. Their technology far exceeded the CD, however, for they could detect and record much more than just what happened there. They could record what was going on inside each and every man who ever was aboard. They keep forever the thoughts, fears, loves, losses and even a DNA profile of each person. Yes, it is true! I just hope I have not disclosed some yet classified material on the subject. 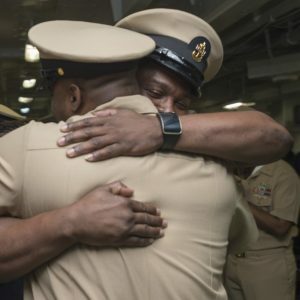 It is not often that the ship gets to use the DNA profile because she usually does not see those men who served in or on her once their tour of duty is over. There are those rare occasions when a man, after many years comes back aboard and it is then that the DNA profiling comes into play to identify that person. You may be thinking that USS ORLECK is being a bit tough on this old guy, and maybe, this could be you she is thinking this way about. If so, try this test. Just take a minute and look into a mirror. If you really want to get depressed, take off your cloths and look in the mirror. I dare say, the body you have does not look like the body you had when you were in the Navy. You wonder what happened and who was responsible for it. You start to think of exercise and diet and fantasize that if you really work at it, you could put that body in just the same shape it was during “those years” and everything will be the same as it was then. You could wear that uniform your wore! Then you become realistic and you know you have gone through this mental exercise before and you still don’t look the same as you did then. 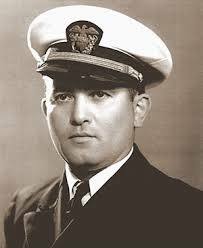 Even so, you are the man who served in USS ORLECK. Nothing really is different in you. You are the same person inside and even though you look different you are that man who spent endless hours in the boiler room making her steam or on watch, keeping her and her men safe. You then come to her and you touch her and those memories come flooding back. You feel the electricity when you touch her cold steel side. What you are experiencing are all those years served by so many aboard. You go below and you see those special places you lived and the memories get stronger. It is not because of your mind, because by now that is about gone. It is because she is stimulating what few cells you have left to bring you back to a point in your youth. You see that inside her she hasn’t changed much. You can recognize those special places where you worked and slept. The more time you spend on her, the more you realize it is true. “Yes, even though she looks different, she is my ship. No doubt about it! I have tried to have a little fun with what is a real and serious concern to me, that some don’t feel the same about USS ORLECK because she was changed in 1962. Some want to put her back to the configuration she was in prior to her undergoing her FRAM II conversion. It is time to review and reconsider those positions. When you first started to read this article you may not have known what I was driving at. I think that most of you do now. Just to make sure, I would suggest you go back to the beginning of this article and read it again before proceeding further. If you have followed this suggestion and you are back to this point, I believe the lesson has sunk in. I would think that most people who are reading this know that USS ORLECK was commissioned 15 September 1945 in the Class, Gearing, Long Hull. Her length on that date was 390’6″. A lot of distinguished history passed that is spelled out in other places, until August 1962 when she returned to the west coast for Fleet Rehabilitation and Modernization. USS ORLECK went to Long Beach from December 1962-November 04, 1963 where she underwent Mark I, FRAM conversion and took on advanced equipment and weapons which included the ASROC and DASH. Contrary to what some might believe, at the end of this process, USS ORLECK was still 390’6″ long. They did not cut her in half and add onto her length as some, including myself, have mistakenly believed. She is the same ship with the same equipment. Granted, she looks different, but so do you! Throughout her career, USS ORLECK had changes made to her and that even continued through her years as the Turkish warship, TCG YUCETEPE D 345. While they are not as dramatic as the FRAM conversion, I dare say that there had to be some changes to USS ORLECK in some way every year and probably every day. Yes, the changes made to her superstructure were dramatic and indeed the untrained eye would clearly decide that we have two different ships here. It is a fact, however, that the destroyer, USS ORLECK DD 886, commissioned in 1945, is the same destroyer that was FRAMed in 1962, transferred to Turkey in 1982 and brought back to Orange, Texas in 2000. During the years 1945-1982, there has been but one USS ORLECK. Through all of those years, she is the wonderful ship that took you to sea, carried you over rough seas to dangerous places and brought you back, safe and sound, to your loved ones. She kept you safe and warm inside when typhoons raged outside. She put her body in front of you to protect you from enemy fire. When we get older our outside body change dramatically. Most of us stay the same inside. I am speaking of that inner person we are and not about the pipes and other equipment that wears out on the inside body. I am far from an expert on this, but I am told by many who have visited her in Orange, Texas since her return, that USS ORLECK has change very little inside. Some of her pipes and things are wearing out. Even so, for those who spent a lot of time inside USS ORLECK, a visit now will reveal to you that in fact, this is your ship! Not much has changed at all. If you chipped or wrote something on a wall close to your bunk, there is a good chance it might still be there. 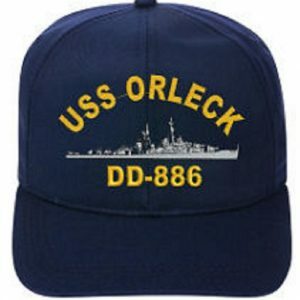 USS ORLECK DD 886 is your ship no matter what! Some say that she really did not need those new weapons and they were not effective in any event. Some say that it was a mistake to FRAM these destroyers especially in the hindsight light of the war in Vietnam where she needed all the 5 inch guns she had and more for shore bombardment. However at the time when she was FRAMed, the military minds thought we needed it and the fact is hard to dispute, that if they had not chosen to do it that way, they would have decommissioned her and would have built other vessels to support the weapon technology then available. I wrote a book in 1994 (not available now) and included a story entitled; “Honest Officer, I was FRAMed!“. There may be inaccuracies and for those I will rely on someone setting me straight. I hope at the end, all who served in USS ORLECK prior to 1962 will realize that this is your ship. She may look a bit different than she did when you were aboard, but she has your history inside her and you will always be a part of her. 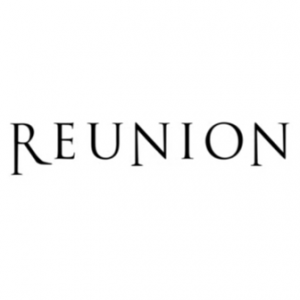 You need to come to Orange for her reunion in October and celebrate with us and her . She needs you and with some work, money and love, we can have her in the shape that will remind you of your time aboard, when you were young and looked different than you do now.